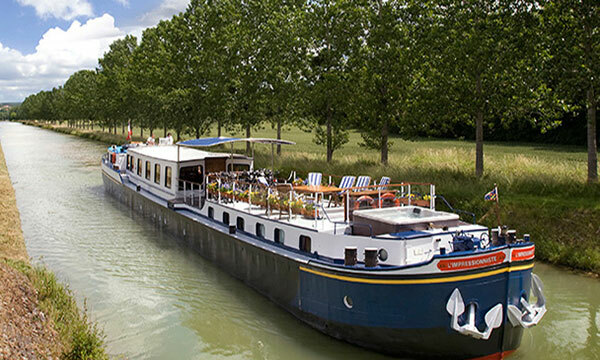 The only 12-passenger barge on this extraordinary cruise route, this handsome vessel cruises through the pristine countryside and world-famous vineyards of Burgundy’s iconic Cote d’Or. 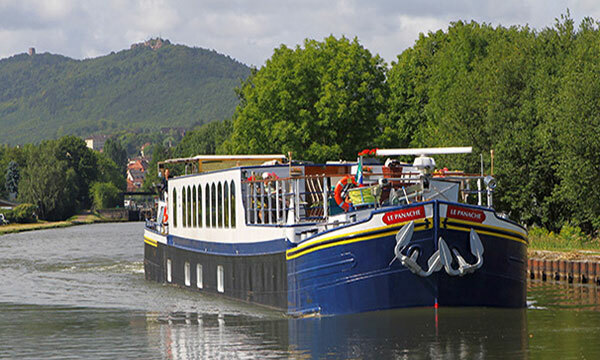 Informal in ambiance yet upscale in accommodations, the L’Impressionniste offers the most delightful of floating homes in which to celebrate the abundant beauty of Burgundy! The lovely cabins range in size and bed configurations, ensuring the perfect stateroom for everyone. Designed for maximum comfort and relaxed socializing, the barge’s spacious salon and dining area is the social center of the vessel, reflecting the convivial ambiance on this warm and welcoming barge. When guests are not lounging in the hot tub or relaxing on the expansive deck, the canal’s towpath beckons for a leisurely walk or a casual bicycle ride. Inspired by the region’s great tradition of food and drink, the onboard Chef creates classic Continental cuisine, relying on locally-sourced ingredients, artisan products, and seasonal specialties. Wine pairings are often from the area’s prestigious vineyards, showcasing the rich Burgundies for which the Cote d’Or is celebrated. Grand table settings, creative plating, and beautiful presentation further enhance the L’impressionniste’s fine dining experience. An introduction to the history, production, and personalities of the region’s thriving viticulture is balanced out with excursions to charming villages, historical attractions, and preserved chateaux. Classic and quintessential, a cruise aboard the L’Impressionniste offers a memorable immersion into the modern Burgundian lifestyle. In the afternoon, you will be met by a crew member of the L'Impressonniste crew at the designated meeting point . From here, relax as you are chauffeured to L’Impressonniste, moored in the village of Escommes. A traditional champagne welcome and introduction to the crew awaits you, before your first gourmet dinner onboard. 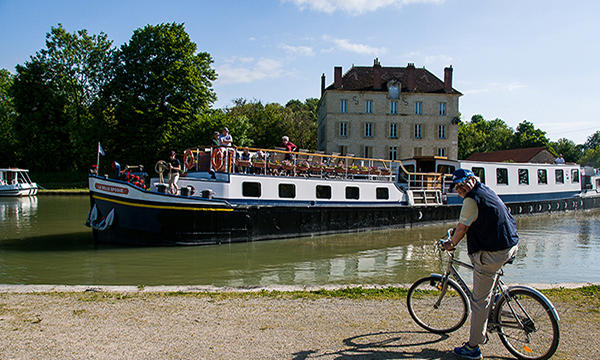 A morning cruise to Vandenesse-ex-Auxois begins the day, providing ample time for a bicycle ride or leisurely stroll along the towpath. This afternoon, your Tour Guide escorts you to the moat-encircled Chateau de Commarin. Experience a close-up demonstration of the medieval sport of falconry. Afterwards, we have a private introduction and tour from Count Bertrand de Vogue whose family has maintained residency at the chateau since the 13th century. Back onboard, cocktail hour and dinner await. Relax on deck with a freshly brewed cup of coffee and watch the pastoral scenery slip by during a morning cruise. Upon arrival, your Tour Guide will take you to Chateauneuf-en-Auxois, a majestic village perched atop a hill overlooking the Canal. Chateauneuf's imposing position refers to its history as a 15th century fortress. A tour of the Chateau reveals architectural details and timeworn relics which speak to the deprivations and decadence so prevalent in France’s history. Tonight, Chef presents another gourmet dinner. The day begins with a drive through the vineyards stopping at the “vigne de l’enfant Jesus”, a famous site owned by Domain Bouchard et Pere Fils. A wine expert provides us insight to Grand Cru and Premier wines. Then, it's a short drive to Beaune, for a private wine-tasting of Bouchard et Pere Fils wines, followed by lunch in the orangery of Chateau de Beaune. Afterwards, a tour of the Hospice de Beaune reveals a preserved Medieval hospital built in the 15th century. 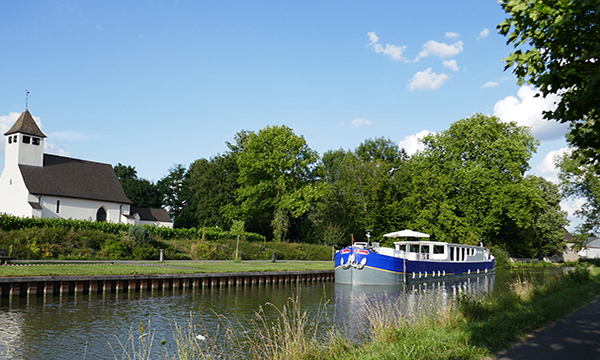 An evening cruise to La Bussiere-sur-Ouche precedes drinks and dinner. Begin the day with a leisurely stroll or gentle pedal on the towpath during a lazy morning cruise. Upon mooring, your Tour Guide escorts you to Clos de Vougeot, where Cistercian monks made wine in the 12th century. The ancient Clos now serves as the headquarters of the revered wine society Chevaliers du Tastevin, who annually award special labels to the finest Cote d’Or vintages. Explore the preserved presses from which these iconic wines were first produced, then enjoy a tasting at a local cellar. Drinks and dinner await onboard. The town of Dijon offers a pleasurable assault of the senses. "Les Halles”, the region's covered food market, presents a panorama of colorful produce and aromatic pastries; mustard jars are cheerfully displayed in boutiques; and public gardens are vibrant with greenery and scenery. 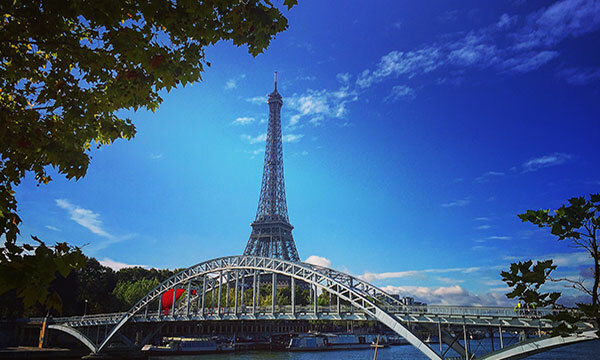 Shop, stroll, and sip your way through this charming city brimming with authentic French life. An afternoon cruise is the perfect time to traverse the towpath with a gentle pedal or leisurely stroll. This evening, your cruise ends in style at the festive Captain’s Dinner.